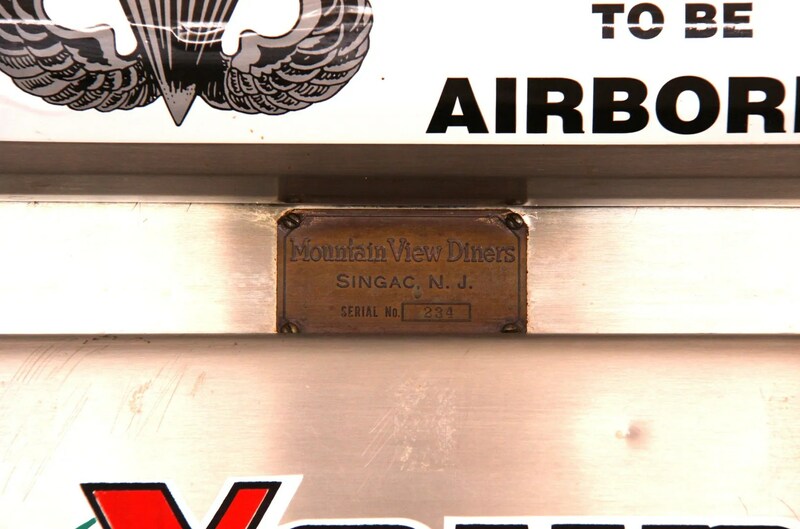 The Rainbow Diner is an early Mountain View diner. It is serial number 234, which places it at c. 1946. It has red enamel flutes with glass brick corners and extra-large cowcatchers. Over the years, a dining room has been added, as has a roof structure. 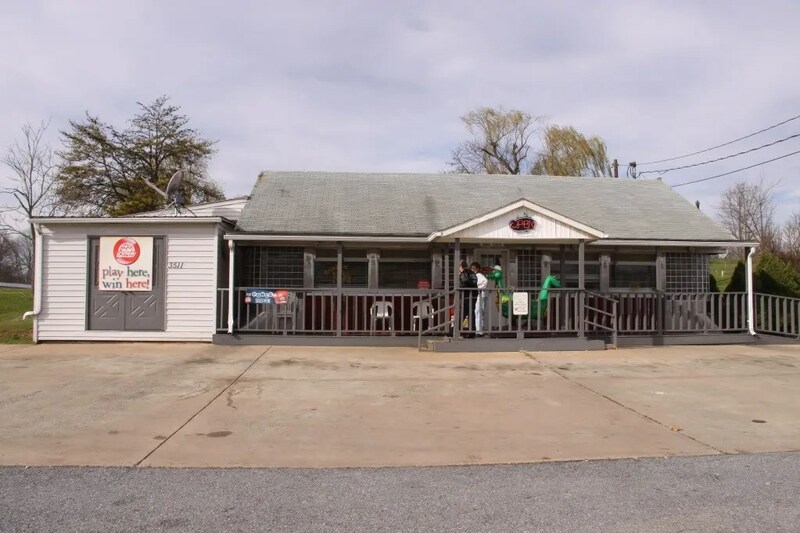 Though the exterior of the diner, minus the roof, is still visible, it is difficult to see from the road because of the railing of the add-on porch. The interior is remarkably in-tact. 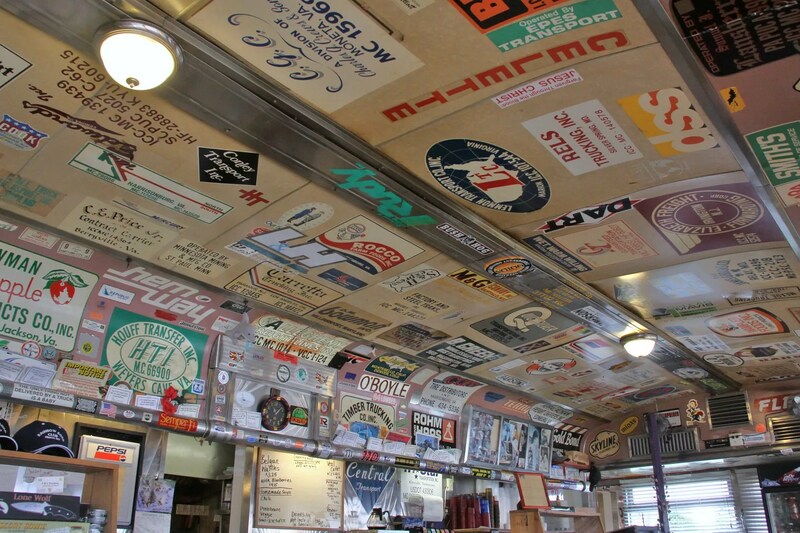 Any surface that can be has been covered over with years and years worth of trucking company stickers and decals. 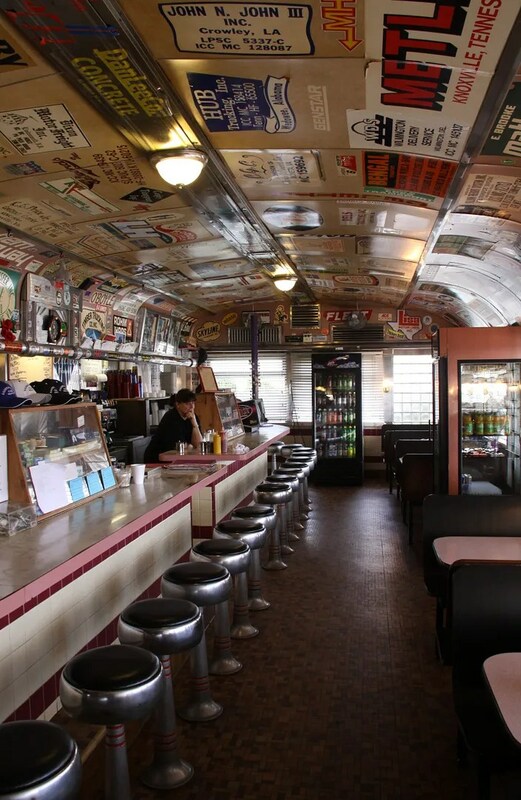 The booths are replacements, but the stools, and most everything else is original. A sampling of the trucking logos. Some go back quite a ways. BTW, thanks for the info. 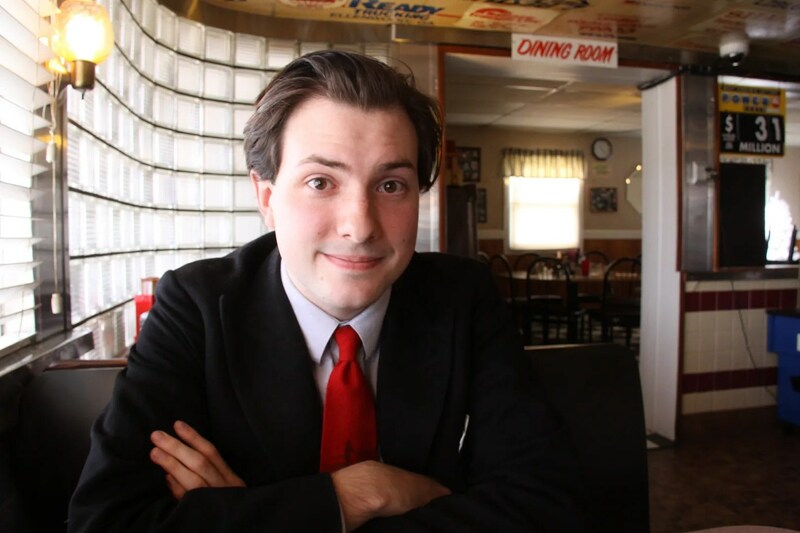 on the Rainbow Diner (it’s been one of my favorite places to go for a real diner breakfast for years).